This is the first guest post on my Blog, this one comes from a PhD student (and previously an MSc at Bournemouth) Mathieu Sanchez. This post is specifically aimed at the design of complex software systems and is in general feedback on how to so the initial design required for some of our assignments. I was really impressed with this email and decided to share it with everyone. Design often takes experience, which is why it is so difficult to teach, but there are some "half rules". Classes are most likely a singular noun. If it is not then maybe you are doing something wrong. In this case, check your multiplicity, and try to find a better name. It can happen that you have "container" classes. Don't name them by what they contain. An example would be a container for several wolves. If you name it wolves, it is unclear, and will lead to confusion. Do you mean a "pack of wolves"? Naming is very important, and will help you get a clearer vision, and help the markers (which is always good). Triangle relations are nasty. 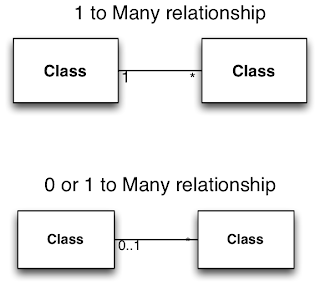 If you have class A, B and C, there should not be a link between each of them with each other. If you find that there are many ways to achieve the same task, then there might be some inheritance in there. 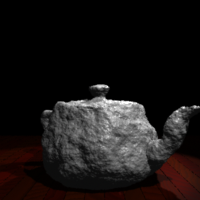 For instance, shadows in rendering can be done through shadow mapping or shadow feelers. This is crying for inheritance. Make sure you have a look at Liskov substitution if you have inheritance. Many of the common problems are solved with (famous) patterns. For instance, if there are two ways of doing one operations, but can also be combined together to achieve a better result, then there is a pattern for that. When I read a diagram, I first look for a point of entry. And so should you. A point of entry for me is where everything starts, the class that controls the entire system. If it is unclear to you where it starts, then you might have missed something. Think at a higher level at first, don't go straight for details, in fact implementation details such as acceleration structures only come last. The first diagram gives an overview of the system. 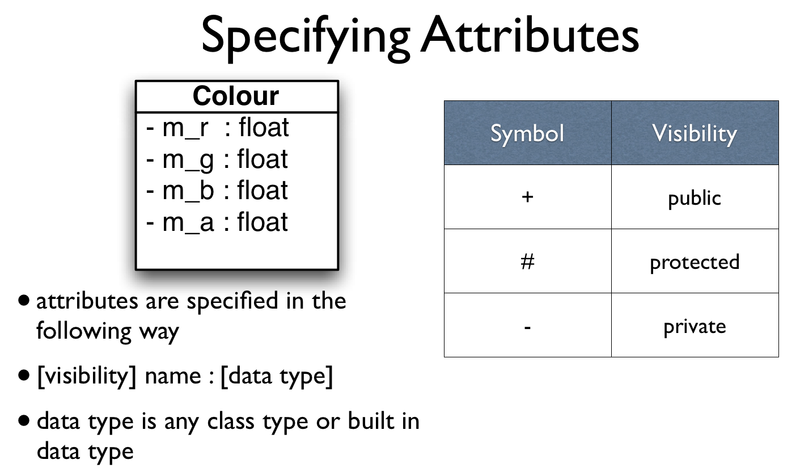 If the interfaces are correctly made, adding spatial data structures is a piece of cake. Think about extensibility. What if someone else wants to extend your library/system? 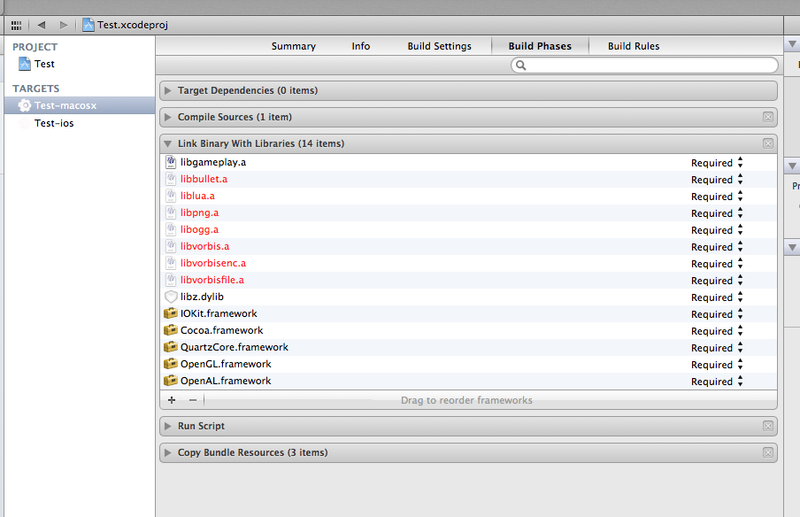 If I have to jump into your code to add some if/else and edit your interface, then it is just plain wrong. Hence inheritance and factories. Finally, once you have a draft, you need to review your diagram. The only thing I do when I try to help you is ask you my famous "what is its responsibility, in one and only sentence?". Do it yourself. 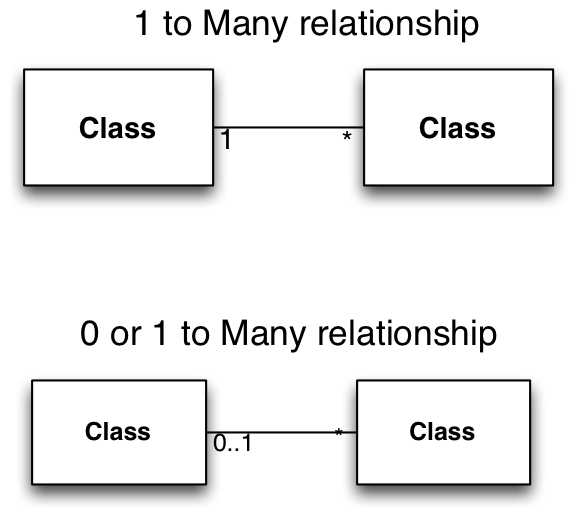 Once the diagram is under your eyes, you can see if one of the classes overlaps with another, or worse, there is no class for a particular class. Then, double check your multiplicity. Read it out loud if needed. You should have two sentences to read. Let s say we have [ A ] 1 ------- * [ B ], then it would read "A has many B, and B belongs to one and only one A". Multiplicity can be: 0..1 (at most one), 1 (one and only one), 0..* (any number), 1..* (one or more). Your inheritance should be solid if it respects the Liskov substitution principle. Don't leave your diagrams without explanation, and stand your ground. Design is all about making decisions and trade-offs. I want to know those, because this is what lets me know if you actually worked on this, and are an able analyst, or if you are just fighting to just get a working system. So it's the first week of term, and many new students have arrived to start their lab sessions only to find that we don't use windows! There are many reasons for this, however the main one is the our main output industry is VFX and the majority of (large) VFX houses use linux / unix. This is due to a number of reasons, however mainly stability, scalability and ease of customisation. Learning to use the linux command line and linux in general is quite a daunting task for a new user, and many people often wonder why they should bother when there is a perfectly good GUI. However as I shall explain in the following videos it will make you a more efficient / better operator if you can master some of the basic shell commands. 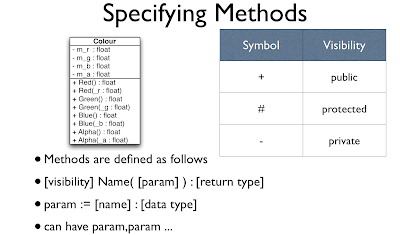 Also it has the added benefit that once you have learnt them, most of them will also be available in both shell scripts, python programs and C / C++ programs so you are learning valuable transferable skills all in one go. Whilst these videos will concentrate on the university lab setup they will also be relevant to other linux distributions and linux in general and are mainly a repetition of what we do in the introduction lab sessions. 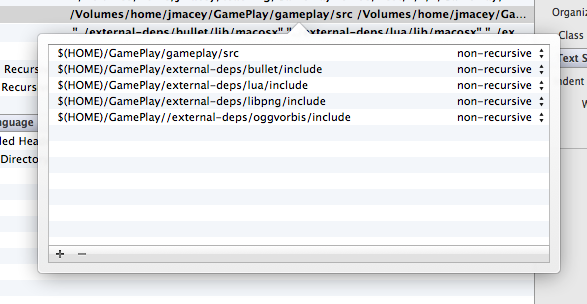 So this interesting post appeared the other day saying that tessellation shaders were working on Mac OSX. According to the documents and other things like GLView this is not the case. I decided to spend the day investigating the claims to a) see if they were true, and b) see how I could replicate this in my own library. 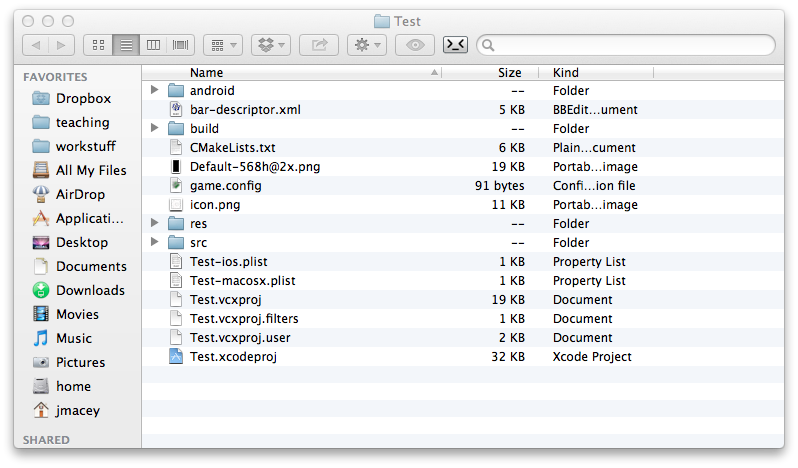 The following video shows how I used the Mac OpenGL profiler to dig into the source code and find out how to do this. 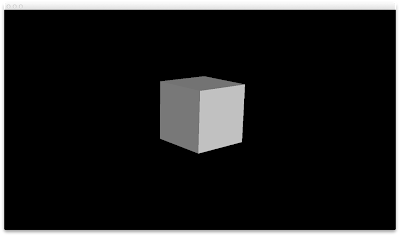 Once this has been defined somewhere you can use the default OpenGL commands to create a shader, I chose to use the demo code / shader here the main thing to remember is that you must use GL_PATCHES to draw to the tessellation units. is not available as the glPatchParam functions are not exposed, the good news is that you can set all of this in the shader so it is not too much of an issue. 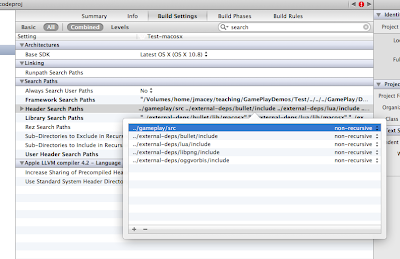 The updates have now been rolled into the core ngl library, and I will add some demos soon. 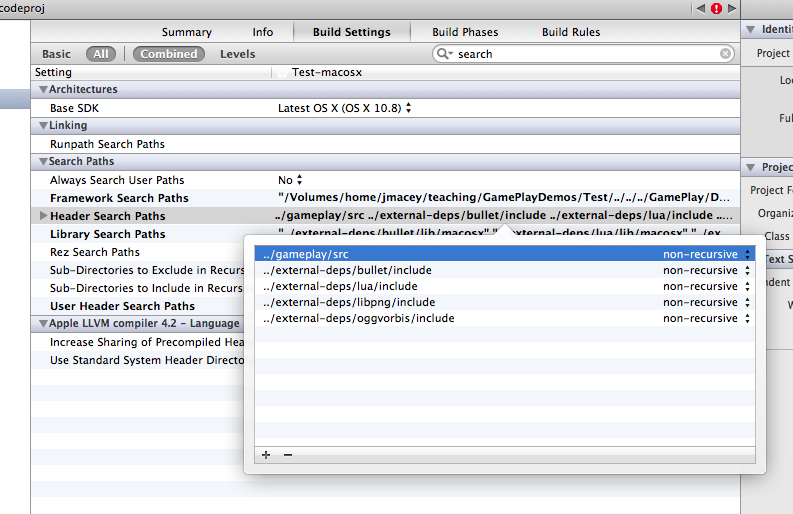 This video blog shows how to install all of the NGL environment on a brand new mac running Mountain Lion. 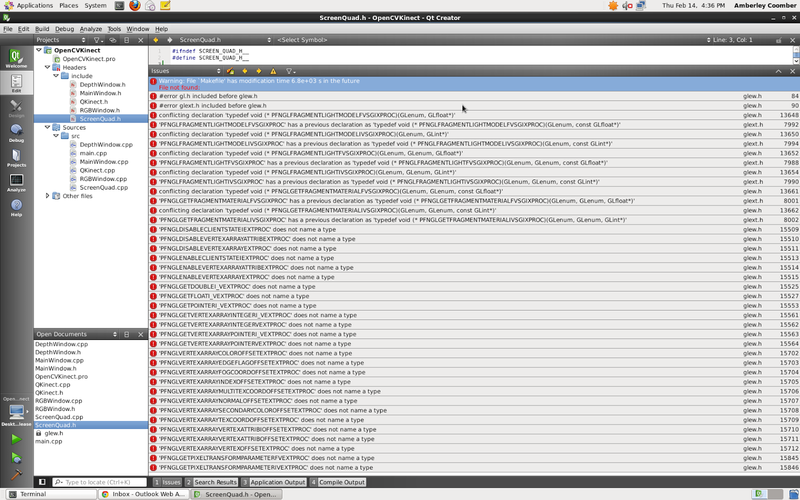 The links to download qt are here and the main configuration for ngl etc is here. Next you need to follow the instructions here to install and setup NGL, you will need to install bzr which is a simple package from here. In a lot of the designs there are classes that show some sort of relation, however no mention of a container is shown in the attributes. In this case we use a filled diamond and it always gives a multiplicity of 1 or 0 .. 1, this implies ownership and when the car is destroyed so it the Engine, this is broadly know as composition. Aggregation differs from composition as it doesn’t necessarily imply ownership. This is usually implemented by containing a reference to another object where the lifetime is determined elsewhere. Those of you that mentioned doing some form of physics need to look at two things. Once getting a time into your program. 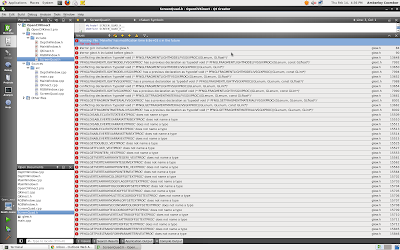 This can be done easily in Qt using the QTimer classes. 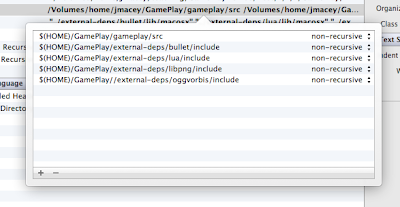 There are several NGL demos that use this and you can see how in the code. The other thing you will need to write is an integrator. If you code is well designed this should be able to be replaced with different types. I suggest starting with a basic Euler integrator then progress to a more stable RK 4 integrator. If you are not writing your own Physics but need to do some basic physics for a game there are a number of solutions, the labs have both ODE and Bullet installed and there is already an ODE demo for NGL with a bullet one coming soon. If you are doing a 2D game or a basic 2.5D platform I would suggest Box2D as it is much simpler and more suited to these style of game. If you are writing an L-System I would suggest reading "The algorithmic beauty of plants". For a general design I would suggest reading in your grammar rules from a text file (you get marks for this anyway). 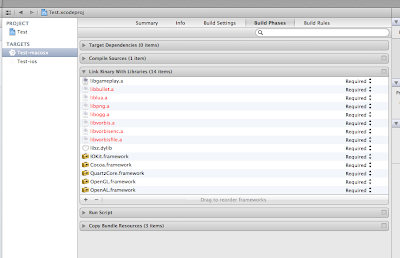 There is a basic parser framework in the lecture code here and you can use boost::tokenize to most of the hard work. It is also important to only build the grammar up once and create the geometry and store it. As this is a recursive system the generation may be slow and adding in drawing will make this a really slow system once a few iterations are used. The system should only update when a parameter is changed and this should generate geometry to be drawn every frame and not the other way around. Also start in 2D and generate a simple turtle class, this can later be upgraded to a 3D system once the basic system is working. One of the hardest problems with a flocking system is managing the communication between the boids. All of the boids need to know where they are in the world as well as have some knowledge of each other. It is possible to use a naive list and check each boid against the others however this will lead to an O(n^2) complexity and slow things down. For the initials test this will be ok, however it should be factored into the design that at some stage this may become a problem at a later stage. To get the flock working initially start with the flock centre rule. If you add the position of all the boids and divide by the number of boids this will give you the centroid. You can then calculate the direction vector for the flock centre on a per boid basis. The other basic rules can then be added. It is also a good idea to add a weight to each of the rules and see the different effects. 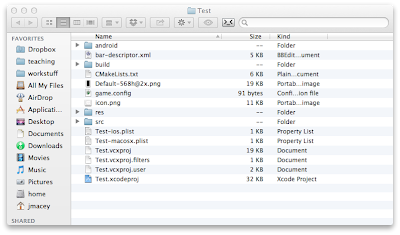 This can be loaded in a text file (or using a GUI) . You should have a basic design, re-visit it based on the comments above and see what is missing. Once you have done this you should start to write the classes. I usually create the basic classes so they can be instantiated and connected together. Once this is done start adding the functionality as required. 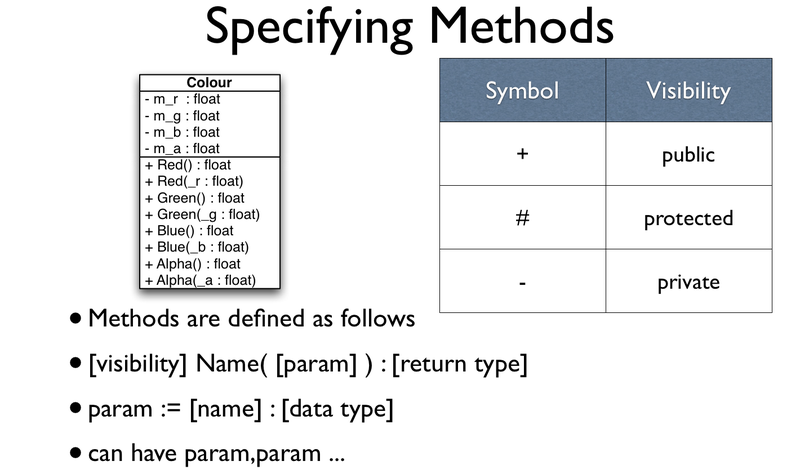 For a more in detail step by step guide look as the examples from last year here note that some of the data types from these examples have changed but the principles are still the same. Good luck and if you have any more questions ask me in the lab.